It’s always exciting when one of your best gal pals asks you to stand next to them on their big day, but you may start to feel like Katherine Heigl from 27 Dresses. Are you one of the lucky ones whose closest friends are all getting engaged at the exact same time? You’re probably receiving an abundance of beautifully calligraphed save-the-dates and “Will You Be My Bridesmaid” gift boxes. It’s always an exciting time when one of your best gal pals asks you to stand next to them on their big day, but you may start to feel like Katherine Heigl from 27 Dresses. 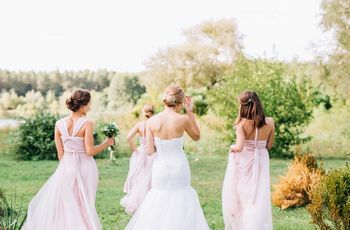 Don’t fret, we have five life-saving tips that will help you deal with being a ‘maid in multiple weddings. As soon as you start getting those "bridesmaid proposals," start thinking about your schedule. Check your calendar and make sure you don’t have any other conflicts on those days with family functions, other wedding events, etc. After that, start browsing travel sites. The earlier you book, the cheaper the cost will be for a flight, bus, or train ticket. You’ll need to book a hotel for all of the events as well. So, it’s best to find a place to stay as early as possible, because hotel prices will rise too. Purchasing your travel and stay ahead of time will keep you organized and relieve a ton of unnecessary stress! 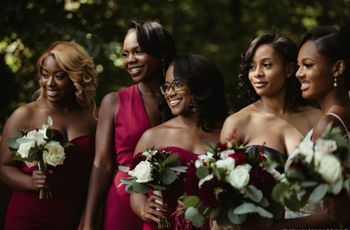 After you’ve finalized your travel plans, start putting a little money aside every month to save for the other expenses of being in a wedding, like the dress, makeup, and hair. Also, don’t forget to factor in your attire for the engagement parties, bridal showers, bachelorette parties, and rehearsal dinners too. Try to wear ensembles that are already in your closet, or buy versatile pieces that you can mix and match for multiple events. 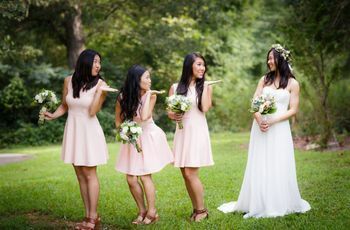 If you and a friend are in multiple weddings together, then tag team to save money! Book flights together, get hotel rooms together and even borrow or exchange outfits too! Tag teaming allows for everyone to save a little and be on the same schedule. Also, you can even go in on a group gift. 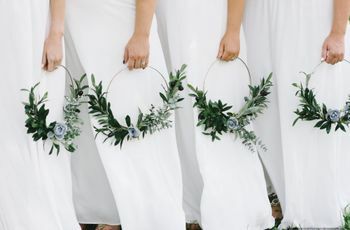 That way you can get the brides something they really want and you can stick to your budget. Remember to be honest about what you’re willing to spend. A lot of times the MOH will try and coordinate pre-wedding activities that can get a bit pricey. 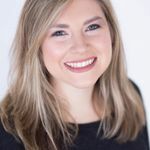 So don’t be afraid to say “that’s out of my price range.” A good MOH is supposed to take everyone’s budgets into account and plan accordingly. Even if you do become stressed with all of the activities that each wedding has, you have to stay positive. It’s your responsibility as a ‘maid to keep a level head about the wedding and be there for the bride when she needs you. The less stressed you are, the less stressed the bride will be and the more fun the festivities will be! 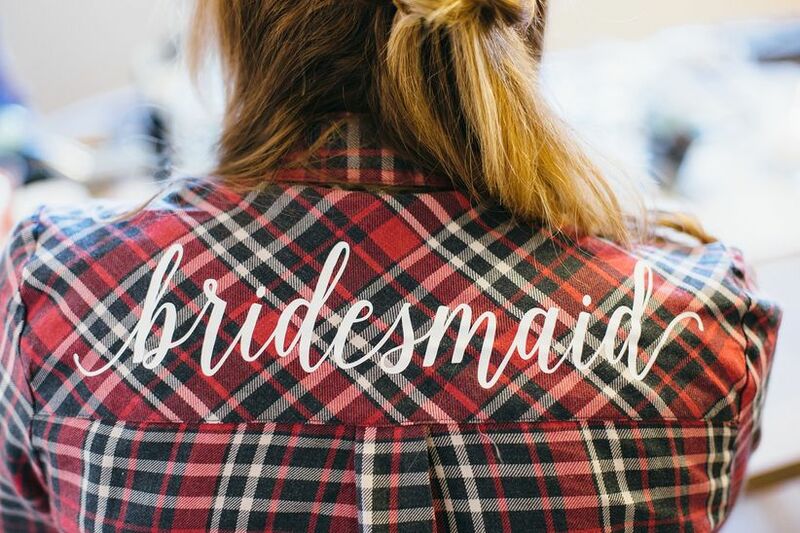 So remember, being asked to be a bridesmaid is an honor, and you shouldn’t sweat the small stuff. Have fun and at the end of the day, you are there to show each of your friends that you are happy for them. Also, by the end of your first wedding as a ‘maid, you’ll become a pro for the rest!